This Sunrise Lily Corsage will be a beautiful accent to my mother's attire this Resurrection Sunday. 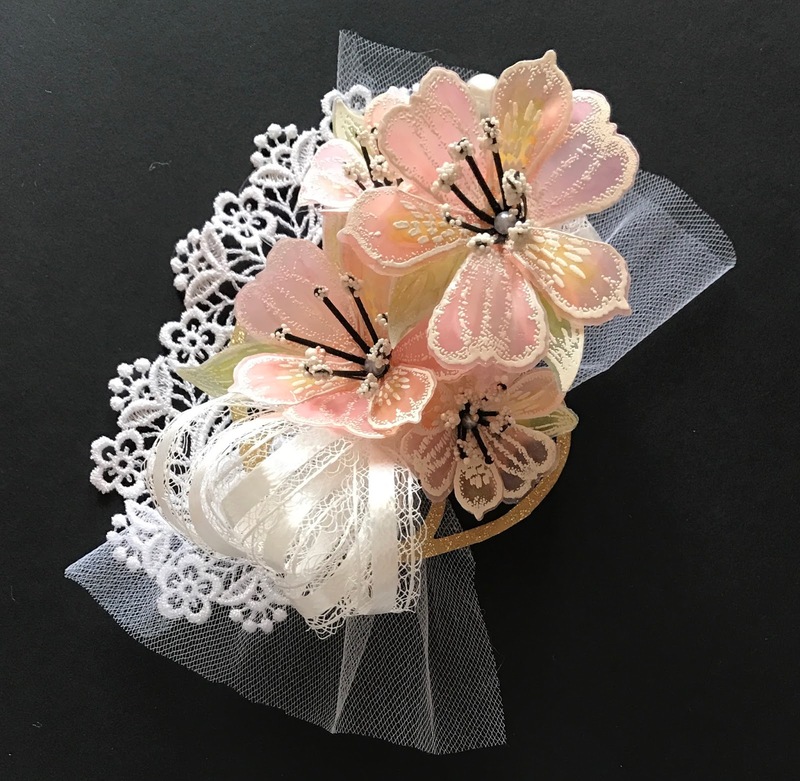 The vellum flowers surrounded by lace and ribbon will put a smile on her face and on the faces of the people around her, because we all know a smile is contagious. 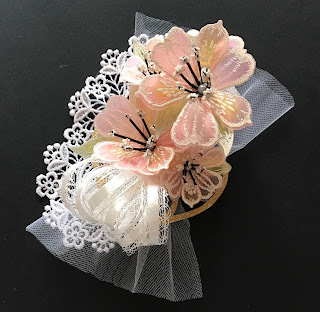 To make this corsage I first created the flowers using vellum paper. I heat embossed the stamped flower images and die cut them. You can find the stamps and dies at this link, Heartfelt Creations Sunrise Lily. You can also find flower shaping techniques on the same website. The video tutorials on the Heartfelt Creations website is where I learned to flower shape paper. It does take some practice but the results are amazing. After my flowers were made I pulled pretty things from my stash and used a hot glue gun to assemble them all together. I used a small piece of chipboard as a base and layered and trimmed the pretty pieces. This corsage attaches to a garment with a pin. This was a fun way to use up some of the pretty scraps in my sewing and crafty stash. God bless you all and have a Happy Resurrection Sunday!